Well, you’re first question is probably, what does FUS stand for? And if you read the top of the main page, it stands for Fans United for SatAM (Sonic). If you’re not familiar with the SatAM version of Sonic, what are you doing here? Oh well, I’ll fill you in. 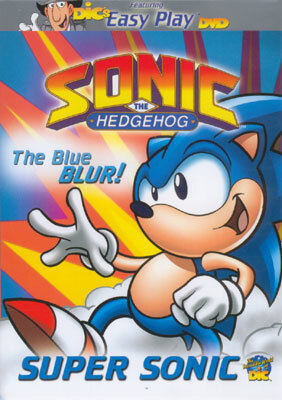 To this day, it is considered the best of all Sonic series that have aired. It captured the hearts of many and created a cast of Sonic characters that reign superior among the Sonic universe. Fanficion, fanart and even a few fan made games revolve around this universe and in it’s best days, the Archie comics based itself off this universe. So, if it was so great, what happened to it? It’s end came on a cliffhanger ending due to rating shifts (thank the Power Rangers) and a new President at ABC. The show aired on USA for a few years, but USA chopped up the show so bad for their advertisements, a few of the scenes didn’t even make sence and many fans lost interest in it. Sadly, it was canceled once again on USA sometime in 1997 (I THINK). This was the end of the SatAM series. A few webpages have the episodes up for downloading, but several out there have yet to see the series air in it’s full version on a TV. For many years, fans sulked around, wrote fanfiction on what they believe the third season would have held, complained and started petitions and still nothing. Then FUS became…. The name FUS was actually created by Rob Showalter when we were trying to come up with a name for our team for SAGE. I suggusted SatAM United but then the acronyms would be SU, which also means Sonic Underground, and we didn’t want that. Rob then suggested Fans United for SatAM, we put up quite a FUS, and VOILA! FUS was born! Now the part where I get to gloat. So many people said it was futile, so many people said it wouldn’t succeed. But in early 2001, things started turning in our favor. DiC had announced that they had freed themselves from Disney’s control, they were once again an independent company. Why was this good? This way they didn’t have to listen to Disney who seemed to like AoStH and the occasional showing of SU…. MORE GOOD NEWS came around. Soon afterward DiC announced that they would be releasing videos and DVDs of some of the old series and some of the new including Sonic the Hedgehog. No one knew, however, which series they were releasing, so we wrote and wrote and wrote pratically begging for it to be SatAM. I don’t know exactly how it happened, but sometime at the end of 2001, I got an email from Ronald Mears titled “Sonic DVD Information.” At first I groaned thinking it was someone asking what the DVD would be of, but was I in for a surprise. He had contacted someone from DiC and they had informed him that in fact they were releasing from SatAM! And a large cheer rose up from the SatAM community… okay sorry got carried away. Later on, we found out the episodes would be ones all ready released, but if sales were good enough, they’d release more. On February 26th, 2002, the DVD was released online and in some stores, and there was… well more rejoicing. The Entire Series was on DVD boxed set, thanks to The Shout Factory. The DVD was sold until 2012, when The Shout Factory’s license to sell expired. However, you can still find them on Amazon.